Give your basic shades a colorful upgrade with lilac lens sunnies. Teeny-tiny frames are making a return among fashion’s it girls. Seems like every day is national something day, and June 27 was National Sunglasses Day! See pics of Bella Hadid, Kim Kardashian & more rocking shades below! Kendall Jenner arrives at The Bowery Hotel in New York City in September 2017. WHICH CELEBRITY HAS WORN THE TINIEST SUNGLASSES OF THEM ALL? As temperatures rise and summer days grow longer, everyone’s sunglasses are only getting smaller... and smaller... and, somehow, smaller. The result is that everyone is Trinity from The Matrix, or Pris, the replicant from Blade Runner played by Daryl Hannah. And this isn’t necessarily a bad thing, seeing that both of those characters are some of the most badass female action heroes in movie history, and the epidemic may in be due in part to Kendall and Kylie Jenner’s obsession with the classic sci-fi film; in fact, they paid homage to Matrix accessories in a collection for their namesake brand. ... We’ve rounded up 13 inexpensive-yet-stylish frames you can afford to misplace. This pair of rimless sunglasses is the definition of trendy. And even though the lenses are colored, it’s a cool tone, so you don’t have to worry about clashing. Memorial Day weekend kicked off the summer season, and we’ve got all the best summer fashion you need in your closet right now! As far as sunglasses, you can’t get more trendy than Kendall + Kylie’s eyewear line, which you can get at Nordstrom. They have a ton of super chic sunglass styles, so you can copy that K-dash look all summer long. KENDALL JENNER FILMS LONGCHAMP COMMERCIAL IN PARIS. She accessorized this deconstructed denim jacket with Ippolita earrings and a Prada waist bag. The collection showcases an experimentation with shapes. Optical aviators are explored in both slim and wide silhouettes while cat eyes are showcased featuring modern touches. Glasses are like jewelry for your face – they draw attention to your eyes and just give you an extra dose of sparkle. These dainty specs are from Kendall and Kylie Jenner’s new optical collection, which means you need them. Like, now. Allure Eyewear debuts its Kendall + Kylie eyewear collection. 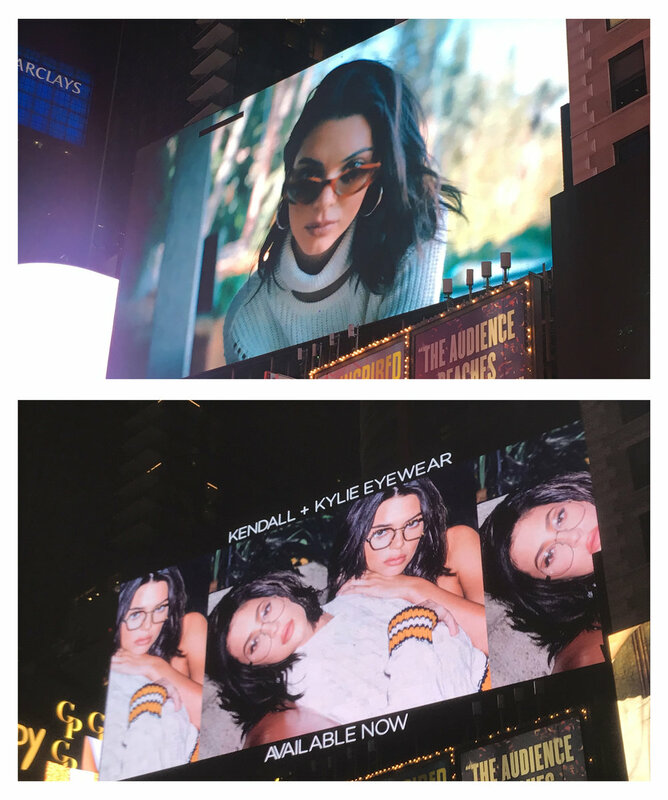 The optical frames are inspired by Kendall and Kylie Jenner’s personal styles, and also reflect the duality of their distinct fashion perspectives. Sleek and elegant with an edgy aesthetic, the collection offers prominent silhouettes made of metals and acetates with the brand’s signature detailing. 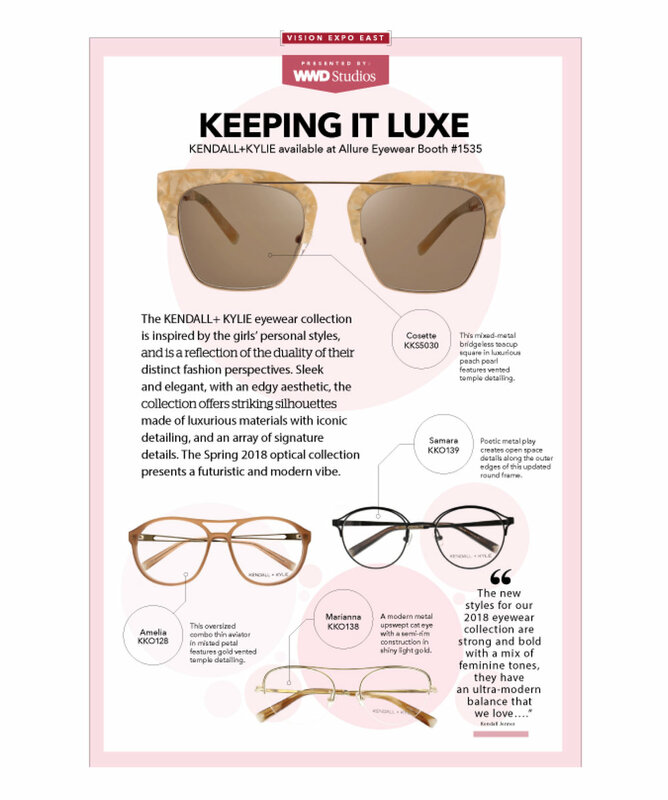 Fully encapsulating Kendall and Kylie Jenner’s glamorous lives, their eyewear aims to transform wearers into their multifaceted, fast-paced and glamorous lifestyle. The fall 2017 optical collection presents a retro yet modern feel and features a combination of geometric and soft shapes. Key details include the abstract K chevron detailing, signature abstract K mother-of-pearl and beveled temple tip, signature bridge and custom front endpiece shape. Thin materials, bevel detailing, mixed metals and customized colorations are also featured throughout the collection.